Unique family enclave on Lake Hartwell includes two homes with three separate living areas. 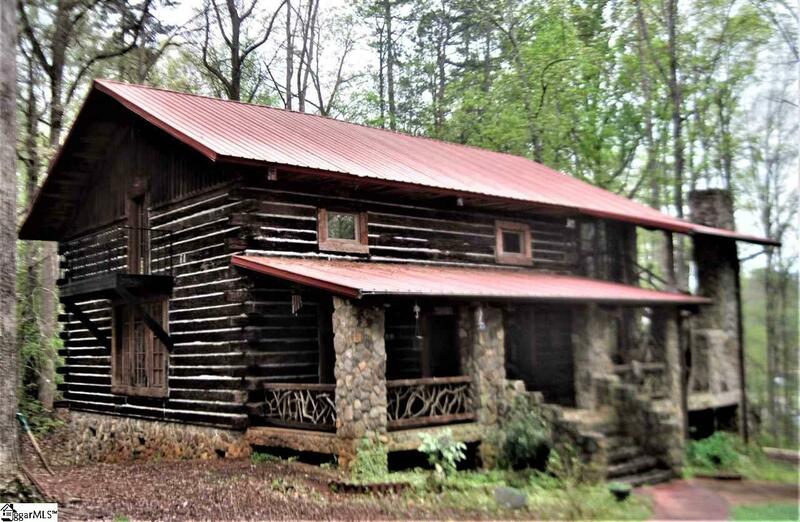 Log cabin built with re-claimed timber from the old Watts Mill. Flooring & ceiling lumber from the old Piedmont Mill. Built to last on steel I-beams. Massive floor to ceiling stone fireplace with three sets of gas logs. 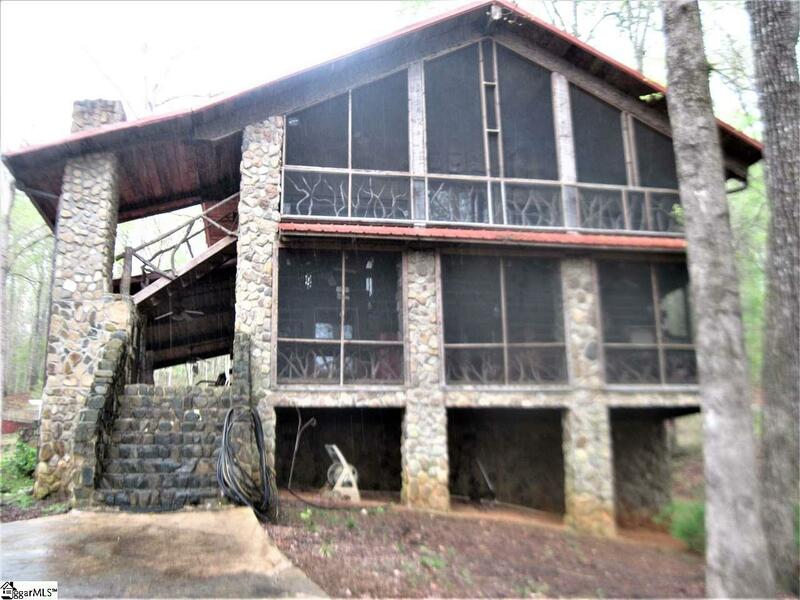 Two screened porches overlooking the lake and a large covered front porch. 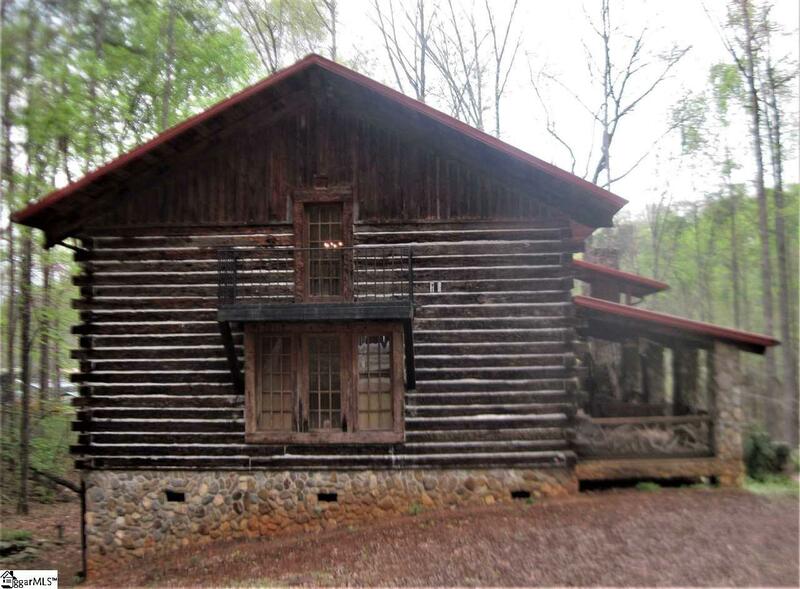 The original home has 2 bedrooms, bath, living room & kitchen on main level with a large screened porch. 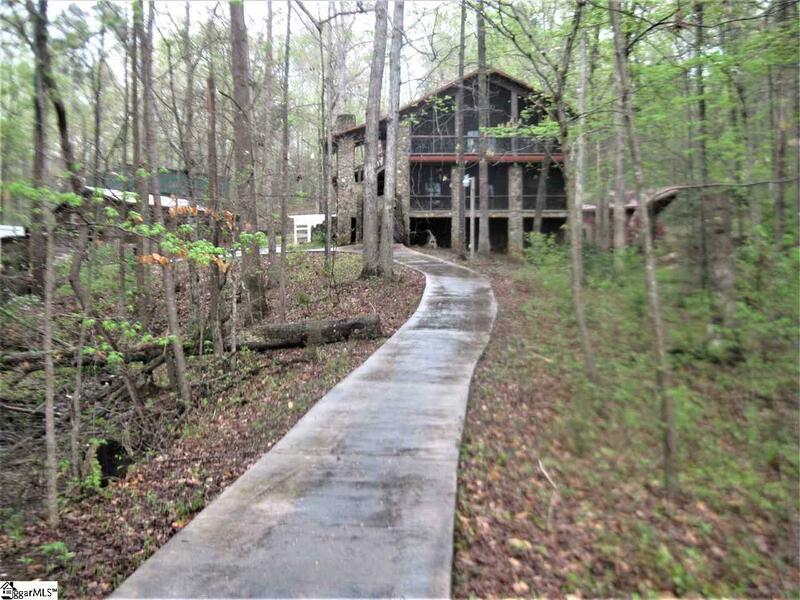 Lower level with separate entrance features lots of cedar with another kitchen, living, bedroom, bath and a large covered patio. Large covered storage/parking for motor homes or boats with basement storage. Covered bridge with water wheel.. Boat dock. Loads of concrete parking and cart paths. Detached storage building. Total of four lots on three separate tax parcels. Perfect for family, friends or rental. Partially furnished. $399,000!